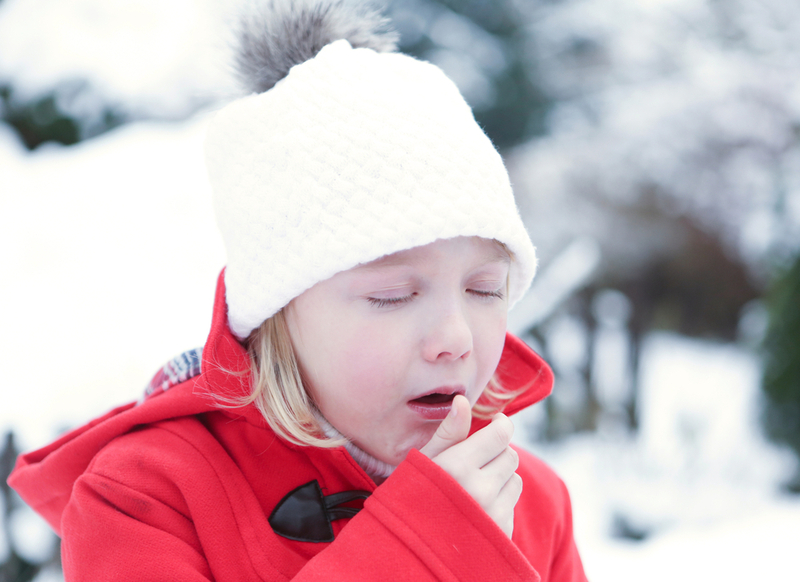 Coughing, as in adults, is a very common occurrence in children. However, it shouldn’t be for babies under three months: if this is the case with your child, it could be a signifier of something else. As your baby progresses through the six-month stage, coughs start to become a fact of life – and they’re just as susceptible to whatever viral nasties are lurking about as everyone else. Viral illnesses are the most common cause of cough and if your child is coughing for a week or more, it’s not necessarily a sign of something to worry about. However, if the cough extends into a second or third week, or is associated with fever or difficulty in breathing, then they should be checked out. This is a very common condition, even in the very young. It can cause heartburn, acid reflux, oesophagitis (in other words, a sore and inflamed oesophagus), and all manner of bloating, belching and a persistent cough. Adults can remedy it in an instant by taking certain medicines and avoiding the foods that bring it on, but it’s understandably harder to treat in babies. The best advice a doctor will give you is to keep the baby’s head elevated while sleeping, hold the baby upright for 30 minutes after feeding – and when your doctor approves it – move them on to solid food. Occasionally medication will be required for reflux. Otherwise known as RSV, this is a very common virus: almost all children will contract it before their second birthday. While RSV invariably leads to a cough or cold in adults and older children, it can cause bronchiolitis in babies, which leads to coughing and wheezing. An estimated 1 in 10 babies contract it, usually during the winter months, and the only remedy for it is supportive care. Otherwise known as pertussis, whooping cough is a highly contagious bacterial infection of the lungs and airways, that is spread in the droplets of the coughs and sneezes of sufferers. It can last anything up to two or three months and is a nasty ailment for babies to contract. So-called because of the gasping sound a sufferer makes during breathing. Children of any age can get whooping cough. However, babies under six months of age are in the increased risk zone for complications of whooping cough, which include dehydration, breathing difficulties, weight loss, pneumonia and sometimes worse. The routine childhood vaccination schedule will include vaccinations against whooping cough and it makes sense to take advantage of them. Otherwise known as ‘habit coughs’, psychogenic coughs are verbal tics developed by a child (and some adults), usually after a bout of cold. They usually start quietly, then build up to a crescendo in the form of a very loud honking, barking cough and can last for several months. Typically the cough disappears when the child falls asleep. This is usually brought on by anxiety or stress either at school or at home. It is important to have your child checked out. Management usually involves finding the underlying cause and reassurance.